Fiat has brought a political cause to the attention of the world with “Your Face for Freedom”, a television and online campaign associating the Lancia Delta with the World Summit of Nobel Peace Laureates and the call for unconditional release for Burmese leader Aung San Suu Kyi. The campaign has now been picked up by Chrysler in the United States. Lancia Deltas drive through the Brandenburg Gate, past remainders of the Berlin Wall, and up to Berlin’s Town Hall. Nobel Peace Prize laureates Mikhail Gorbachev, Lech Walesa, Fredrik Willem de Klerk and Muhammed Yunus get out of the cars. As the music reaches its emotional crescendo we discover that one Lancia Delta is different from the others, it is white. 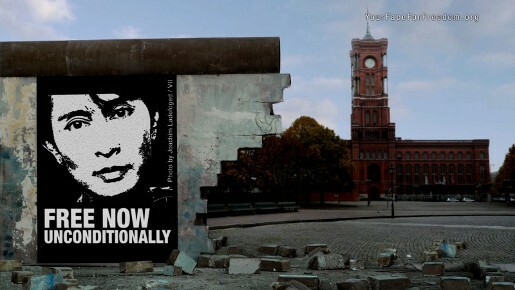 Facing it is the Berlin Wall which is a symbol, not only for the German people, of liberty denied. 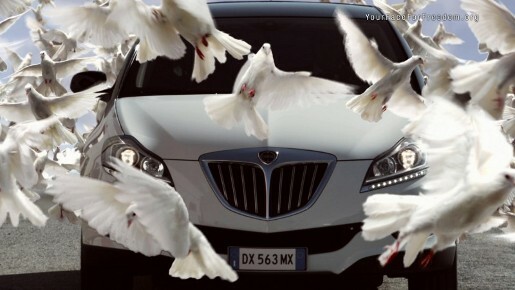 A barrier that the car smashes through, transforming the explosion into a flight of white doves, universal symbol of peace. This car goes up the steps to the Town Hall but, as the rear door opens the seat is empty: someone is missing. 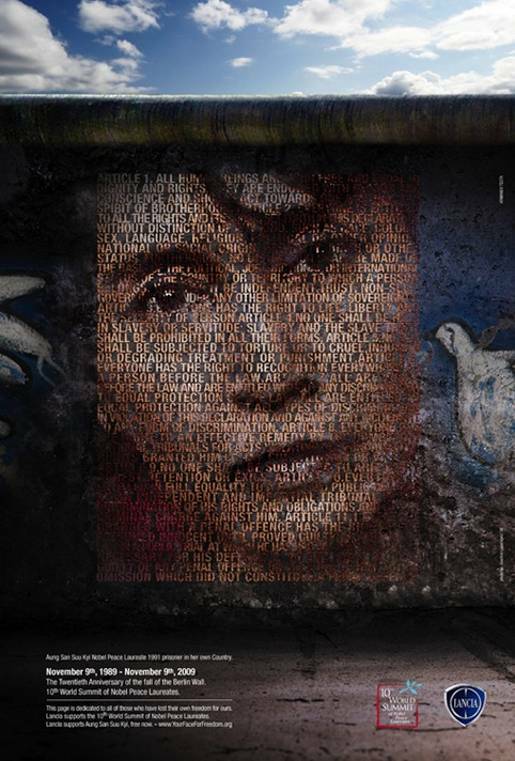 It is Aung San Suu Kyi, still held prisoner in her own country. The 30-second film was initially created as part of the Lancia brands sponsorship of the 10th World Summit of Nobel Peace Laureates in Berlin Nov. 10-11, 2009, for which the theme was “Knocking down new walls and building bridges for a world without violence. The timing of the summit also coincided with the 20th anniversary of the fall of the Berlin Wall. The film first aired in Europe on Nov. 12. The commercial is a follow-on from the advertisement prepared for the 2008 Nobel Summit. The Your Face for Freedom campaign, online at yourfaceforfreedom.com, invites Facebook users to add their voice to the call to free Aung San Suu Kyi by replacing their profile photo with one of Suu Kyi . The campaign is designed to raise awareness of Suu Kyi’s plight during the build up to the presentation of the 2009 Nobel Peace Prize to Barack Obama on December 10. Chrysler worked with Fiat’s agency, Armando Testa, to rebrand the commercial for the United States market, featuring the Chrysler 300. Olivier Francois is the head of both the Chrysler and Lancia brands and is head of marketing for both automakers. The ad can be seen on the Chrysler Web site, www.chrysler.com. Kyi was taken hostage by the ruling military junta in her native Myanmar after her political party won the elections back in 1997. The junta refused to give up power and put Kyi under house arrest, where she has remained ever since. Fiat saw the plight of Kyi as being in-keeping with its own ‘world without walls’ vision and adopted the cause into its marketing. The Your Face for Freedom campaign was developed at Armando Testa, Turin, by creative director/art director Raffaele Balducci, copywriters Dario Digeronimo and Daniele Bona, art director Dario D’Angelo. Filming was shot by director Enrico Coletti via Armando Testa’s inhouse production company Little Bull, Turin, which handled post production and audio post production. Media was handled by NC2. Comments at AdAge’s article on the Chrysler campaign suggest a level of resentment over Chrysler’s engagement with an Italian company after the federal US$6.6 billion bailout. Some suggested that Americans don’t know who Aung San Suu Kyi is, and don’t care. Olivier Francois, brand manager for both Chrysler and Fiat’s Lancia, made it clear in a comment that this was a one-off campaign for Chrysler, provided pro bono by Armando Testa. Chrysler is moving their advertising account from BBDO Detroit to Fallon, Minneapolis.